Get some cultural insight at Cathedral of The Holy Cross Lusaka and 37D Gallery. Visiting Kapishya Hot Springs and Parays Game Ranch will get you outdoors. Spend the 4th (Tue) exploring nature at Lower Zambezi National Park. There's much more to do: browse the different shops at Eastpark Mall, walk around Munda Wanga Environmental Park, explore the galleries of The Henry Tayali Gallery, and admire the masterpieces at Modzi Arts. To find reviews, traveler tips, and more tourist information, go to the Lusaka vacation planner. Cape Town, South Africa to Lusaka is an approximately 6-hour flight. You can also drive; or take a bus. Finish up your sightseeing early on the 6th (Thu) so you can go by car to Siavonga. Siavonga is a town in the Southern Province of Zambia, lying on the north shore of Lake Kariba. Kick off your visit on the 7th (Fri): admire the engineering at Kariba. Quickly create a custom-made itinerary for Siavonga using our trip planner. Traveling by car from Lusaka to Siavonga takes 3.5 hours. Alternatively, you can do a combination of bus and taxi. In June, plan for daily highs up to 31°C, and evening lows to 15°C. On the 8th (Sat), you'll travel to Chingola. Chingola is a city in Zambia's Copperbelt Province, the country's copper-mining region, with a population of 157,340 (2008 census). Chingola is known for parks. Your plan includes some of its best attractions: stroll through Chimfunshi Wildlife Orphanage. To find more things to do, other places to visit, reviews, and tourist information, refer to the Chingola trip itinerary builder site . You can do a combination of car and flight from Siavonga to Chingola in 7 hours. Other options are to drive; or do a combination of car, flight, and bus. On the 11th (Tue), you're off toLomashi. On the 12th (Wed), admire the sheer force of Lumangwe Falls. For ratings, other places to visit, and more tourist information, read Lomashi trip itinerary planner. You can drive from Chingola to Lomashi in 8 hours. Alternatively, you can fly. On the 13th (Thu), you'll travel to Mbala. 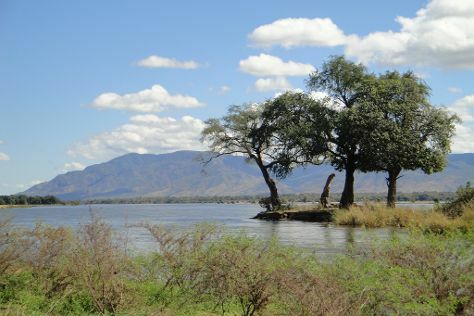 Mbala is Zambia’s most northerly large town and seat of Mbala District, occupying a strategic location close to the border with Tanzania and controlling the southern approaches to Lake Tanganyika, 40 km by road to the north-west, where the port of Mpulungu is located. Start off your visit on the 14th (Fri): admire the sheer force of Kalambo Falls and then see the interesting displays at Moto Moto Museum. For traveler tips, where to stay, and other tourist information, refer to the Mbala travel itinerary planner . You can drive from Lomashi to Mbala in 4.5 hours. You'll set off for Kasama on the 15th (Sat). Kasama is the capital of the Northern Province of Zambia, situated on the central-southern African plateau at an elevation of about 1400 m. Kick off your visit on the 16th (Sun): take in the dramatic scenery at Chishimba Falls. Here are some ideas for day two: take in the architecture and atmosphere at Kasama Cathedral. To find photos, reviews, ratings, and other tourist information, read Kasama trip itinerary planner . Traveling by car from Mbala to Kasama takes 3 hours. Alternatively, you can take a bus. On the 17th (Mon), you'll have the morning to explore before heading off to Mpika. 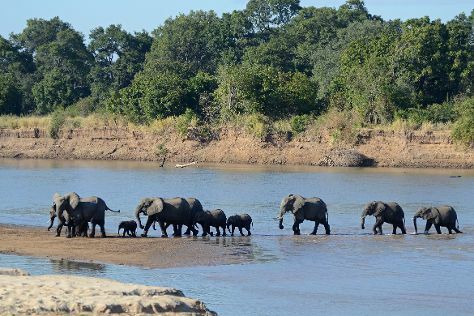 On the 18th (Tue), tour the pleasant surroundings at Bangweulu Wetlands and then walk around South Luangwa National Park. On the 19th (Wed), you'll have a packed day of sightseeing: make a trip to Shiwa Ngandu. For where to stay, traveler tips, photos, and tourist information, you can read our Mpika road trip planning app . Take a bus from Kasama to Mpika in 3 hours. Alternatively, you can drive; or take a train. Cap off your sightseeing on the 19th (Wed) early enough to travel to Sioma. 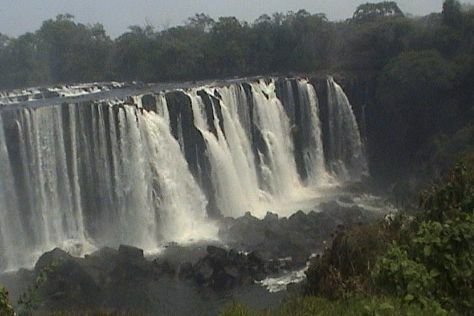 On the 20th (Thu), admire the sheer force of Ngonye Falls. 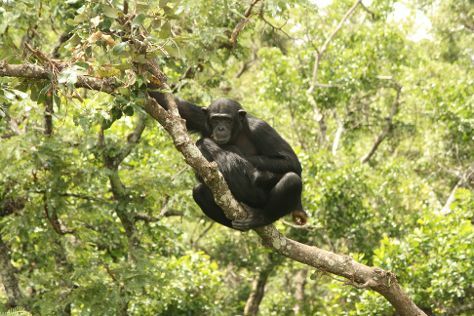 On the 21st (Fri), you'll have a packed day of sightseeing: explore the wealth of natural beauty at Sioma Ngwezi National Park. To see more things to do, ratings, photos, and tourist information, use the Sioma trip builder website . Traveling by car from Mpika to Sioma takes 17.5 hours. Alternatively, you can fly. Finish up your sightseeing early on the 21st (Fri) so you can travel to Senanga. Senanga is known for nature. Your plan includes some of its best attractions: explore the activities along Zambezi River. To find reviews, other places to visit, where to stay, and tourist information, read our Senanga trip planner . The Route module can help you plan travel from Sioma to Senanga. In June, daytime highs in Senanga are 18°C, while nighttime lows are 13°C. 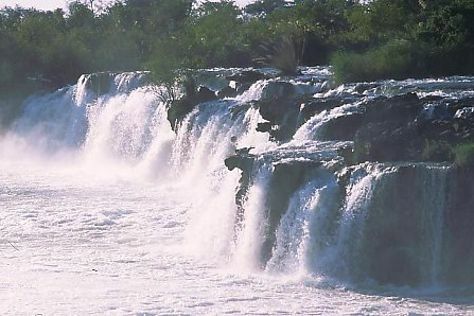 On the 24th (Mon), you'll travel to Liuwa Plain National Park. On the 25th (Tue), explore the striking landscape of Liuwa Plains. To find more things to do, photos, traveler tips, and more tourist information, go to the Liuwa Plain National Park trip itinerary builder app . Use the Route module to find suitable travel options from Senanga to Liuwa Plain National Park. You will leave for Livingstone on the 26th (Wed). Visiting Helicopter Tours and Victoria Falls will get you outdoors. Explore hidden gems such as Wayiwayi Art Studio and Gallery and Railway & Gateway Jewish Museum. On the 30th (Sun), spend a relaxing day on the river with a rafting and tubing tour. The adventure continues: don't miss a visit to Gorge Swing, take in the exciting artwork at The National Art Gallery, Livingstone, identify plant and animal life at Wildlife Areas, and see the interesting displays at Railway Museum. Quickly create a custom-made itinerary for Livingstone using our trip planner. Use the Route module to find suitable travel options from Liuwa Plain National Park to Livingstone. In June, plan for daily highs up to 24°C, and evening lows to 14°C. Wrap up your sightseeing on the 30th (Sun) to allow time to travel back home.